Today I’m sharing my favourite 4th of July crafts for kids, perfect for getting kids excited about the celebrations! Although we live in the UK I think it’s great for kids to learn about celebrations and important days in other countries and of course I know that a lot of people who read this site are from the US so I thought it would be fun to share something for you guys. Love celebrating the 4th of July? 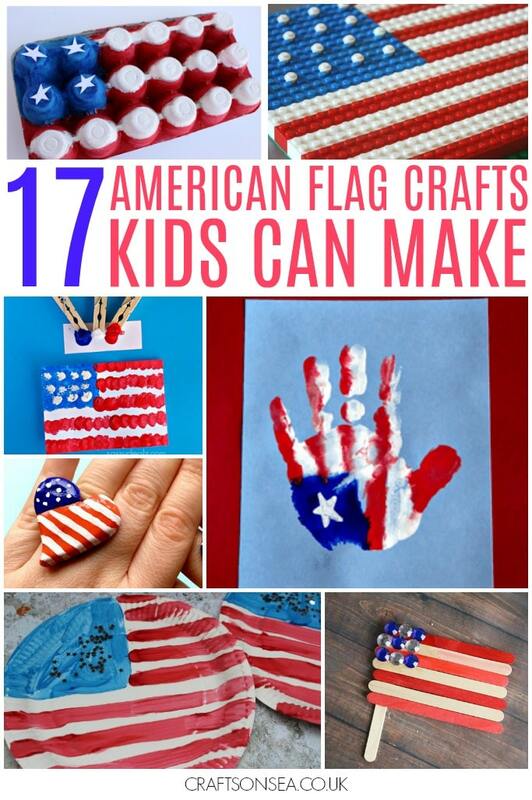 Make sure you check out the end of this post for 17 American flag crafts for kids which they’ll love to make! 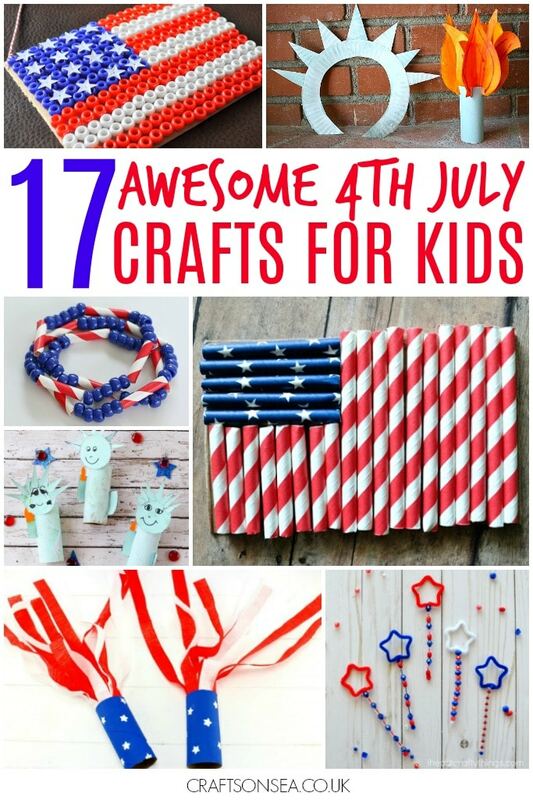 All of the fantastic 4th of July crafts for kids that I’ve shared to day are listed in the order that they appear in the image I’ve shared below (don’t forget to pin it!). Of course there’s loads more ideas than the ones in the collage and they’re all equally as awesome so make sure that you check all of them out! Got some pony beads? This flag craft looks fantastic! A Little Pinch of Perfect’s Statue of Liberty toilet roll crafts are super fun and they come with a free template too to make your life easier! These popsicle stick star streamers are super pretty! 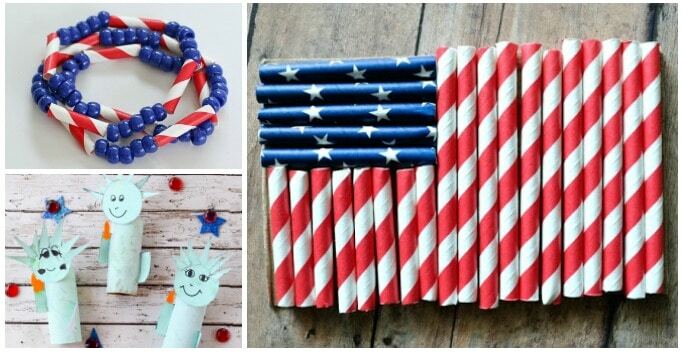 American flag crafts make perfect 4th of July crafts for kids too so if you’ve enjoyed checking out these crafts and ideas then make sure you go and see my round up of American flag crafts for kids – just click here!